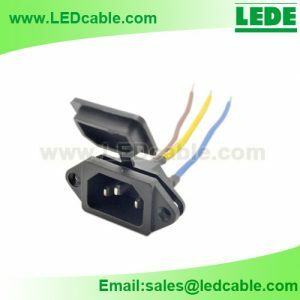 This AC socket with standard IEC standard, and have protective cap with it, the wire can be produced according to the client’s needs. Small order , and OEM are welcome. Wire Guage: 16AWG, 18AWG, etc. Copyright © 2019 Shenzhen LeDe Electronic Co., Ltd All Rights Reserved.